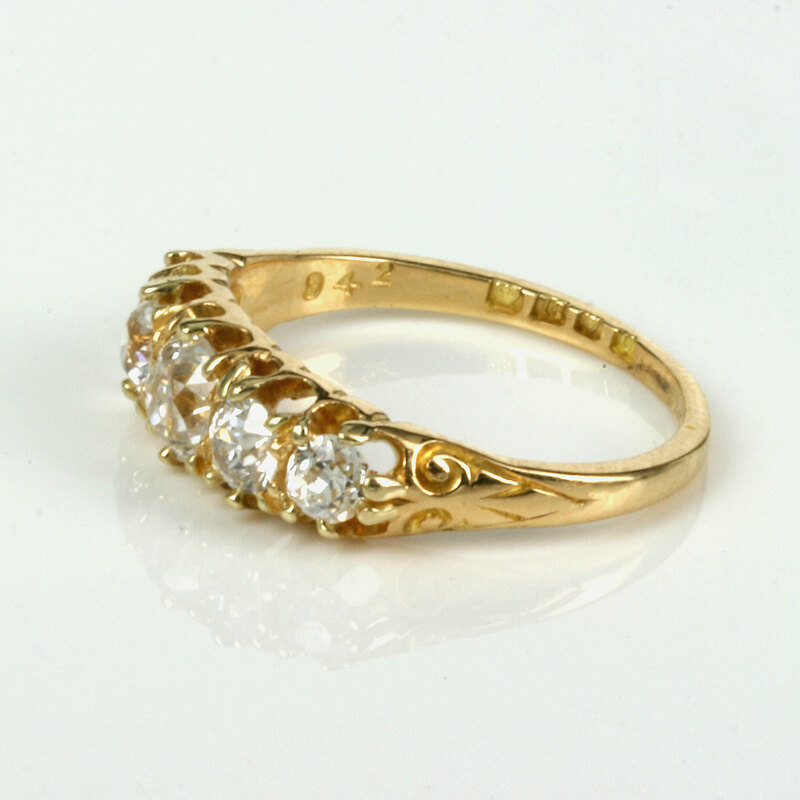 Product code: ES3861 Categories: Sold Items, Sold Rings. Here is a very attractive and elegant antique diamond engagement ring that was handmade in London in 1898 and will always have you looking down at your hand and admiring this ring forever. Made in 18ct yellow gold, this antique diamond engagement ring is claw set with 5 lovely and vibrant old European cut diamonds that graduate so nicely in size leading up to the centre diamond. The diamonds total 1.42 carats and are all in the white range of diamonds being G in colour and Vs to Si in clarity and they all have such charm to them as only antique hand cut diamonds can have. The diamonds are claw set allowing the maximum amount of light to enter throughout the diamonds and then adding to the charm and character of this ring, each side is so elegantly hand carved with a charming scroll work design leading to the half round band that feels so smooth and comfortable on the finger. 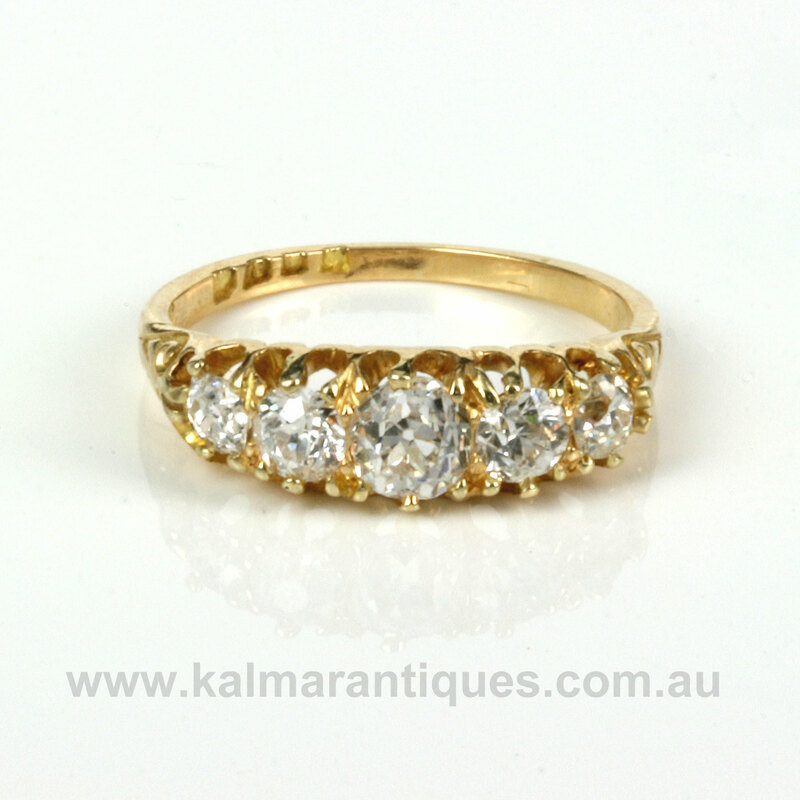 Antique diamond engagement rings always have that special charm that only an antique ring can have and this one is certainly no exception and will always be treasured and worn with pride.